On June 15th, Nintendo released a brand new Software update for Xenoblade Chronicles 2 (Ver. 1.5.0), and released the latest DLC pack for owners of the Expansion Pass: the Challenge Battle Pack. 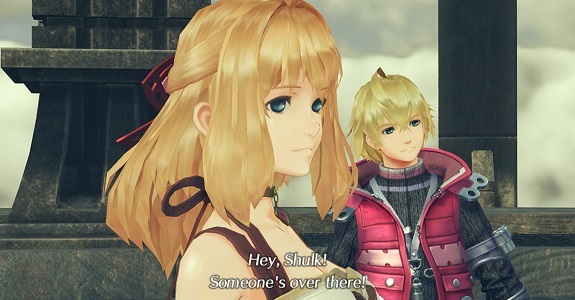 In this mode, characters from previous Xenoblade Chronicles appear: Elma (from Xenoblade Chronicles X), and Shulk and Fiora from Xenoblade Chronicles. What’s more, they appear not just as cameo characters, but also as actual Blades! Unfortunately, you cannot bring them with you to Alrest, and they can only be used within the Battle Challenge Mode… until you can get a specific reward, that is! Wondering how you can get that very reward and unlock Elma, Shulk, and Fiora for the main game? Then you’ve come to the right place! After the cutscenes, go talk to the Nopon Archsage, and take on the Challenge called “Dino Drama” (only available after clearing the main game). And that’s pretty much it: you only need to complete just one Challenge… which is going to be much easier said than done. This is a pretty challenging one (the level restriction is Lvl. 99, and Blade Powers are not allowed), though at the very least, you can complete it on Easy if it’s just too hard for you on Normal. Go talk to the Nopon Archsage, and take on the Challenge called “Otherwordly Fighter” (only available after clearing Chapter 6). To take on this Challenge, you need to have the following characters in your party, and the following Blades engaged: Rex, Nia, Tora, Morag, Zeke, Pyra, Dromarch, Poppi a, Brighid, Pandoria, Shulk, and Fiora. And that’s pretty much it… well, not quite, actually. If you want to bring Elma to Alrest (and not just add her as Blade to your party for the Challenge Battle mode), you also have to beat the “Redux” Challenge, unlocked upon clearing Otherwordly Fighter. Have any questions about unlocking Shulk and Fiora? Then fire away!